This section looks at many of the aspects of running a Lotus Cortina today, and collects together the information to help decide what to buy, how good the car is you may be looking at, what you may be in for if you want to restore a car, and where to go to keep the car running. The BUYING sections looks at the choices you may face when looking at a Mk1 or Mk2 Lotus Cortina for sale, and highlights the main issues to look out for. This includes weighing up the different models and their main differences, the value of the different models in the UK market, pointing you to other sections in this library for further information, and finally downloadable check lists for each model and variant. 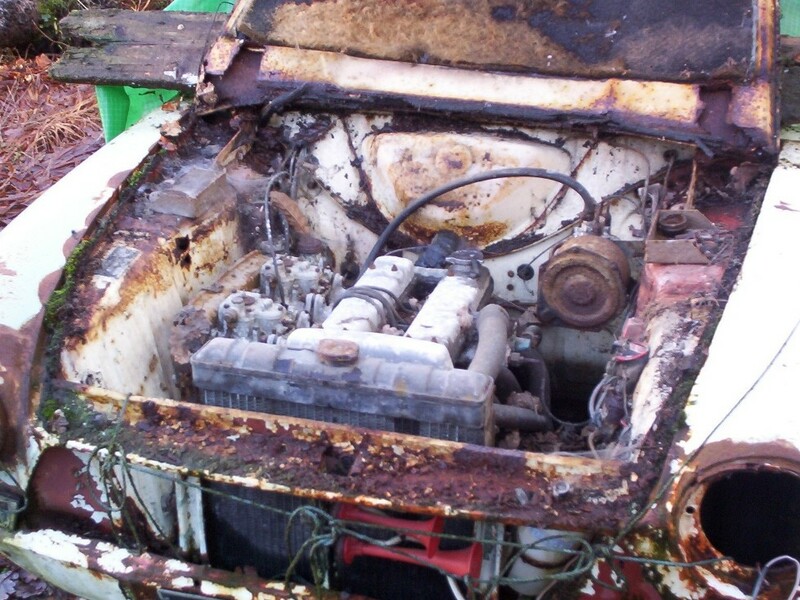 Lotus Cortinas are now expensive cars which have been very cheap to buy in the past, and many have been subjected to poor restorations when they were cheap, some of which can be downright dangerous. Being valuable now is a double edged sword. On one hand, the end value can justify spending a lot of money getting a professional-standard restoration completed on the car. On the other, the high value opens the doors for quick profits with botched but pretty restorations, replicas and clones. If you are new to Lotus Cortinas and are desperate to buy one, or have just spotted one on ebay and fancy having a bid…STOP! If you don’t know IN DETAIL what to look for when buying a Lotus Cortina, Mk 1 or Mk 2, then do your homework or take someone along to have a look who does know what they are looking at. Most of the cars out there are good honest cars owned by good honest folks….but there are a few bad apples that ruin it for everybody. Making a mistake could cost you many tens of thousands of pounds, and you could even lose the car you’ve just bought altogether. This site contains most of the information you need to determine if the car you’re looking at is at least built to ORIGINAL SPECIFICATION. That’s half the battle. But you also need to check that the car has the correct PROVENANCE to ensure that what you’re looking at is an AUTHENTIC Lotus Cortina. The Restoring section shows several different cars being restored, and the extent of the restoration required. The two main experts who restore Lotus Cortinas in the UK give their views of the restoration process together with the approach they take, and identify the pitfalls to avoid. General costings are also provided, to provide a ball park guide to restoring these cars. The Running section provides information on suppliers of parts and services to the Lotus Cortina community, as well as identifying each of the clubs that support the car, and the products and services they provide. Finally, a look at Lotus Cortinas at recent shows. Specifically, a close look at the Brands Hatch 50th anniversary celebrations in August 2013, where some 80 road cars and 20 race cars turned up to make it the best Lotus Cortina gathering ever. Below is a collection of thoughts around some of the issues in buying a Lotus Cortina, and the collective view of many seasoned enthusiasts that I have spoken with about some of the tricky and sometimes controversial subjects concerning Lotus Cortinas. What Do You Want To Use The Car For? 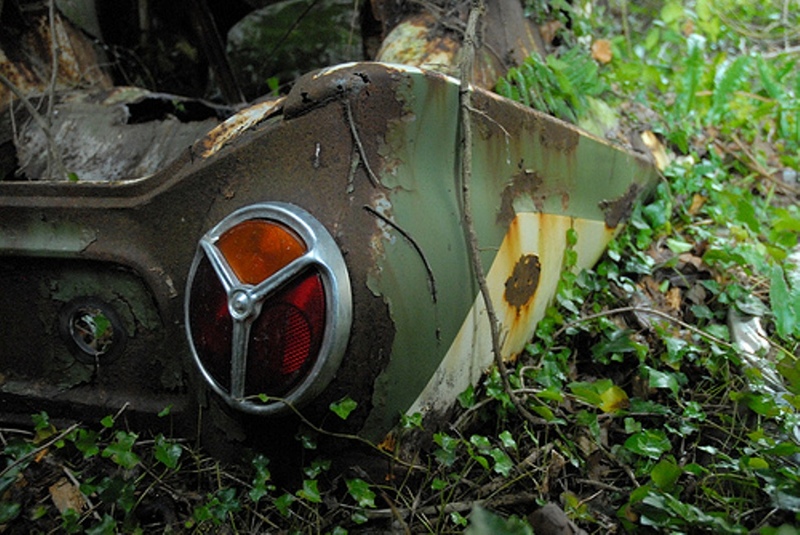 What Is An Original Bodyshell? Re-shells, Replicas, Fakes and Clones. Before getting into the specifics of Buying a Mk1 or a Mk2, and which version / variant you want to get, here are some thoughts to try and establish what the cars were used for in the day, the ‘lows’ that they sunk to, which in part explains why so many were written off, or tucked away in a poor state for many years awaiting a full restoration. These cars were developed initially for competition, and they were very poorly protected from rust, as were most British cars in the 1960s. Whilst the shells were very strong when new, a light roll over would write-off the car unless the car still had most of it’s value, usually because it was under 2 years old. In this case a service shell was supplied by Ford, and the car re-shelled by the local Ford Dealer. By 1965 the Lotus Cortina had evolved into a more road-friendly car, and was increasingly bought as a family car. The car was therefor used all year round, which in the UK exposed the poorly protected underside to huge amounts of salt on the road in the winter. The 2nd, 3rd and subsequent owners often drove them into the ground in the late 60s through to the 80s, sometimes in club evening / weekend events, sometimes just because the cars were at the end of their designed life. They were seen as the boy-racer car of choice, and at their low point could be bought for £200 for a rough but roadworthy Mk1, and a bit more for a Mk2…they were less rusty and less knackered due to age! A friend who used to race Elans, bought 5 or 6 old Mk1 Lotus Cortinas for their engines and gearboxes….three of them were 1963 cars with close ratio boxes! His best buy was £65 for a car with 2 days MOT left on it, and he rarely paid more than £150 for a Mk1. 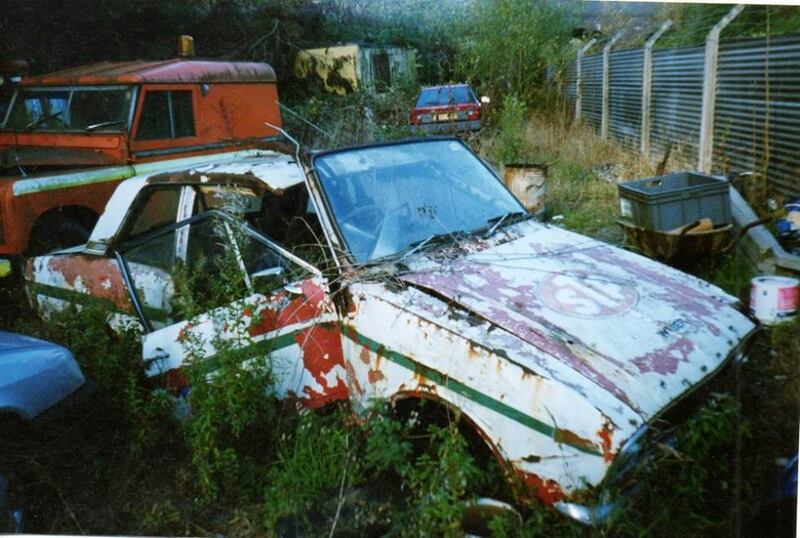 Although they were all scrapped by 1985, at least two live on a Race Lotus Cortina….well, in I.D. form at least! Even the fairly good ones were so cheap to buy / replace, that it wasn’t worth messing about with the very rough cars, but even still the owners didn’t have a lot of money to spend on the good ones to keep them maintained properly. 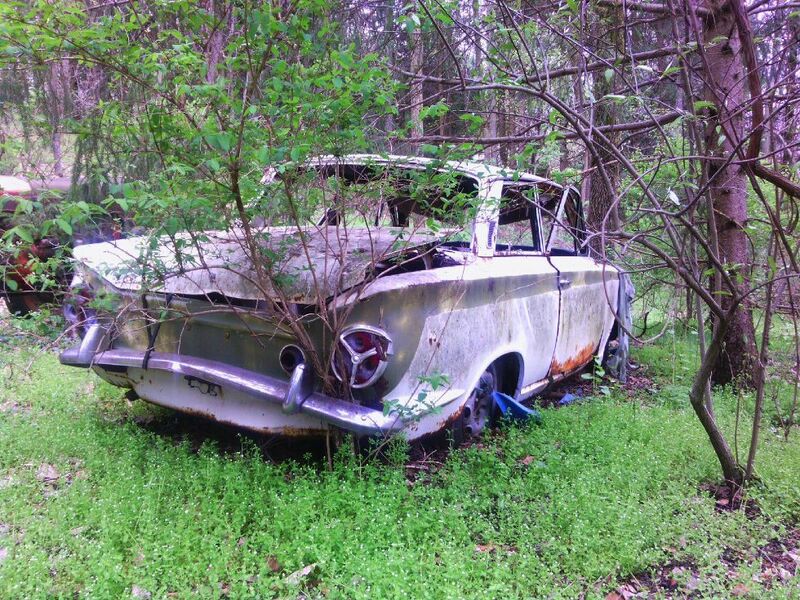 Some of the cars had a 2nd life, perhaps when an owner had restored the car mechanically and then crashed the car. Service shells weren’t available for more than a few months after a model had been discontinued, and the cars were then often re-built into another 2 door Cortina shell, retaining the identity of the Lotus Cortina. All this means that by the end on the 1970s, when the youngest cars were 10 years old and often very rusty, many Lotus Cortinas were old nails, thrashed and trashed by owners who wanted the noisiest and fastest car they could get for their money, which often was very little. They didn’t all end up this way of course, and a few were treasured and tucked away in garages, maybe having been restored, or awaiting the time and money for the restoration. But at this time there was a small but growing enthusiasm for the cars within Club Lotus, and in 1980, the Lotus Cortina Register was established, helped by Graham Arnold, the ex-Lotus Sales Director who had been with the Lotus Cortina from the beginning. The purpose of the Lotus Cortina Register was to promote the car and raise it’s profile from the low point to which it had sunk, to collect together as much information on the cars as possible, and disseminate that information to the enthusiasts. From 1980 until the mid 1990s, the cars started to gain a wider appreciation of how they transformed the fortune of both Ford and Lotus, and perhaps more importantly, they were being appreciated for just how much fun they were to drive. Spares were still quite plentyful, from old stock in Ford garages around the country, and of course from the many cars that had been broken up in the 70’s and 80’s. The cars started to rise in value, and by the mid 1990s enough information had been gathered by owners who started to think, quite rightly, in terms of originality. Part of the thinking about originality was wanting to differentiate between Lotus Cortinas that were ‘substantially’ as they came out of the factory (rare), those that had had or needed extensive restoration (common), and those that had been re-shelled into a ‘lesser’ Cortina shell (not so rare). Unfortunately this created a sort of class system for the car. At the same time time, those who took over the LCR also decided that ‘originality’ of the cars was vital to ensure the integrity of the Lotus Cortina going forward, and quite rightly. It was felt that the club should bring down the shutters in terms of defining what original looked like in an attempt to kerb the creation of ‘fake’ cars. By the late 1990s, and with forums starting to be established where normally things could be discussed and knowledge shared, the opposite happened with the Lotus Cortina. The silence coming from the LCR gave the club a reputation of being a bit of a clique, with an inner sanctum of knowledgeable folks, and some of the rest feeling a bit threatened by not having the same sort of knowledge. Many owners left, and I think that I have been contacted by a few hundred of them! Meanwhile, folks carried on re-shelling Lotus Cortinas, and building competition cars from just an identification. They didn’t need anybody to tell them what original looked like. If a rotten old Lotus Cortina was dragged out of a barn, that was the pattern from which the donor shell was built, and all the bits swapped over very easily. Those who wanted to create a new car from a logbook usually had access to an original car for copying as well. The lad with a Mig and a Cortina GT didn’t have a basic understanding of what was bronze welded, what was spot welded or how a Lotus Cortina was put together, and the results of his efforts was usually very obvious. The safest way to buy a car like the Lotus Cortina is to buy a known car, one that has been seen or known about by knowledgeable club members over the years, and it has good provenance with written and photographic evidence, usually of the car before and during restoration. The quality of restoration has moved on considerably in the past 15 years as values of classic cars in general has risen. The amateur repairs that were the norm 20 or 30 years ago, with variable clearances and swage lines all over the place, are now not acceptable to most. The value of a car with good provenance has justified professional restorations, which can cost anything from £50k up to nearly double that for a true concours restoration. As values have increased, the provenance of the car has never been more important, and it’s a brave man who buys a car for restoration that’s been tucked away for 20 or 30 years with no paperwork to support it’s authenticity. If you are serious about buying a car, then join one of the clubs. The Lotus Cortina Register, the Mk1 Cortina Owners Club, and the two Mk2 Cortina Owners clubs are full of knowledgeable and very enthusiastic folks who are very happy to show you their cars at a show, and talk you through what the cars are. Remember that just because a car is on a register, or has a correct chassis identification for a Lotus Cortina, it doesn’t mean that the car is necessarily a good one. You will find that the culture of secrecy still exists with a couple of folks in the LCR, but most are very happy to show you around their car and explain originality and change points with those not in the know. In fact most will go out of their way to show you the specific Lotus Cortina bits, and are happy for you to take photographs. If you study this site you will understand the different models and variants of the Lotus Cortinas, so can develop a good understanding of originality before even talking with other owners, and you will be able to pick out an obviously duff car without the help of others. Originality definitions for both the Mk1 and Mk2 are being put on the site over time, so that you can get up to speed with what model should have what. Do check out the detail photographs in the Road Car Studies as well, as these are recognised as some of the best Lotus Cortinas in the world, and I will be adding more detailed photos of those over time. It will also be very worthwhile getting hold of the Parts Manual for the Mk1 Cortina (1962 to 1966), or the Parts Manual for the Mk2 Cortina (1966 to 1970), both of which show the parts specifically for the Lotus Cortina. If buying the Mk2, then get a factory Workshop Manual as well…it’s one of the best manuals written on any car. No, you don’t have to justify your decision! But I thought I’d add this bit first just to set the scene on the market for Lotus Cortinas specifically, and classic cars in general. There is a huge spectrum of interest around classic cars, which includes Restoration, Competition, Concours showing and Driving. Originality and what to look for when buying doesn’t really interest the folks interested in competition. Their cars are going to be almost entirely different to a standard car to meet current safety regulations, and to take advantage of modern kit that still enables them to run within the homologation rules…loosely speaking! The issues arise in the wide spectrum that ranges from ‘Concours’ to ‘Driver’, where originality is one of the main topics for the Lotus Cortina. If you have an ambition to build a concours car, then 100% originality must be the aim. If you want a car to drive, either on fine weekends only or maybe every day, then perhaps originality matters a little less….to a point! So what matters when looking at a Lotus Cortina? ….Original colour (Mk 2 mainly!)? ….Low number of previous owners? ….Low mileage backed up with documentation? ….Original fasteners throughout the car? The reality is, it all matters, at least in terms of perceived value of the car. An original one owner car that has never been welded, still has it’s original paint and all non-consumable components are original TO THE CAR is always going to be top of the pile when it comes to value. Take away any one of those attributes above, and the car is worth less. Some of that won’t worry the buyer who wants a ‘driver’ car, but all will be of interest to the concours buyer. Note that Original Bodyshell and Original ‘Matching Numbers’ engine really do mean the shell / engine that the car left the factory with. All the other ‘originals’ really refer to original specification, rather than the actual original part. Just what it says really….it’s the bodyshell that the car had when it left Dagenham, not having had any new panels or repairs completed on it. THESE ARE VERY RARE, with probably only a couple of ‘original UK’ cars having their original shells. Go to California or Texas, and your chances of finding a rust-free car are much higher, even though very few cars were originally exported there. Have a look at ‘Mk1 Road Car Studies – Mk1 Aeroflow Californian‘ to see what REAL originality looks like. A lot of owners claim that their cars have their original shells, when virtually all cars original to the UK have had some restoration work completed on them. They really mean that, to a greater or lesser extent, the shell is original to the car. Light restoration… For example, replacing the front wings and outer sills, with repairs to the rear arches, strut tops and outriggers. Quite rare for a car to require so little work in the UK. My 1970 Mk 2 Lotus Cortina needed this much work by 1975! Around 10% of the bodyshell replaced. Medium restoration…. For example, replacing most outer panels, inner front wings and repairs to inner panels, outriggers, floors and chassis rails. Around 30% of the bodyshell replaced. Extensive restoration…. For example, replacing all outer panels, inner wings, rear tubs, inner sills, floors and some chassis rail sections. Repairs to ‘A’ and ‘B’ Posts, sometimes with replacement sections. Around 70% of the bodyshell replaced. Back in the 1970s and 1980s, when the cars were worth very little, many cars that needed a medium restoration (and more) on the shells were scrapped. 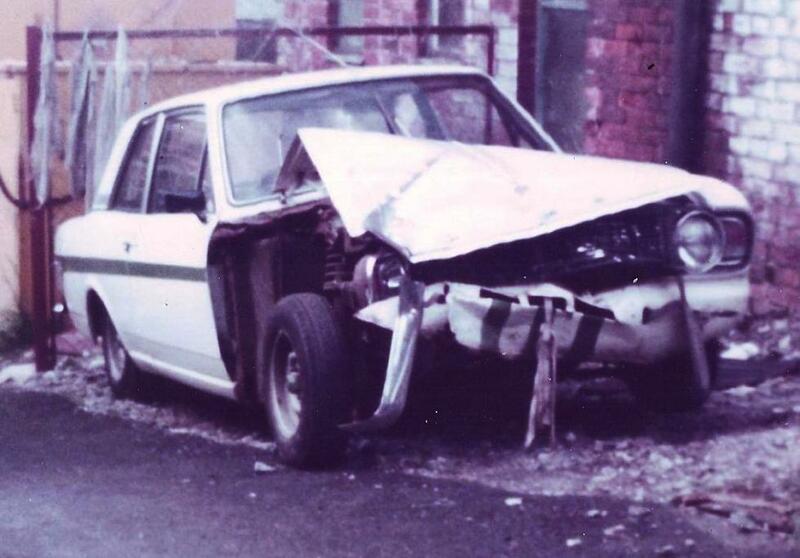 It was easier to find a better car, or put the Lotus parts into a standard Cortina shell. Luckily, quite a few of the candidates for ‘medium’ restoration were tucked away for many years, and started to emerge when prices started to rise for the car, making such a restoration viable. Since the prices of Lotus Cortinas have risen in the past 20 years, medium restorations are being completed as a matter of course, and quite a few extensive restorations have been completed. These are very expensive to have done, with £20k – £30k plus being paid for just the shell to be repaired and painted. It’s also not really the job even for a talented amateur, requiring considerable fabrication and panel beating skills, as well as the right jigs, an engineering flat floor for accurate layout, donor cars etc. that such a restoration requires. It can also cost a lot more if a truly concours car is being completed. If the end result is worth £60k – £100k, then obviously it’s worthwhile….just! It costs just as much to restore the shell of a standard or GT Cortina, which is why many of these cars in a poor condition are not being fully restored. As a double whammy, the best of these cars have been used, and will continue to be used, as a donor for a poorly Lotus Cortina, as this is a far more cost effective way of restoring the car than an ‘extensive’ shell restoration. Originality, Provenance and Authenticity are terms that are bandied about a lot these days in the context of classic car, but I get the impression that there isn’t an agreed definition for the terms used, and that causes a lot of problems in understanding. Looking back to the 60s and 70s, when the Lotus Cortina was a new (ish) car, it’s important to understand what happened to these cars in general before trying to establish the originality, provenance and authenticity for any specific car. As mentioned above, the majority of the cars had a pretty hard life, probably not in the hands of the first or even second owner, as they were mainly bought as road cars, to commute to work and take the family out at the weekends. But the original purpose of a Lotus Cortina was competition, which a few were used for when they were new of course, but once they had depreciated a fair bit after a few years, many more were used for track racing, rallying, hill climbing and autocross. Even if not used in serious or club competition, by the time they were over 5 years old, they were owned by lads like me at the time, who bought them because of their ‘reputation’, and because it was the cheapest way to go fast. And very often, we couldn’t afford to run them properly. As a result, if the engine expired, it was cheaper to get another from a mate’s wrecked Lotus Cortina than have your own rebuilt. 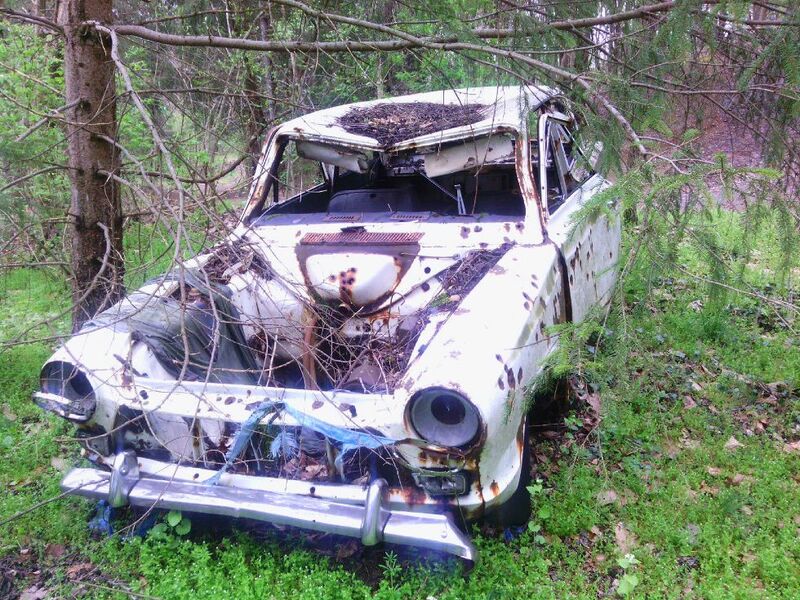 If the rust became too bad, usually in conjunction with an accident, the car would be broken for parts, or if the running gear was particularly good (especially in a competition car) then it may be re-shelled. Pretty much any shell would do so long as all the Lotus bits could be made to fit, and that wasn’t difficult. The bottom line is that many of the cars had a very hard life, and even if they didn’t, it was normal to have to start doing repairs to the bodywork before the car turned 5 years old. Outriggers, sills, front wings and rear arches were the first things to go, quickly followed by floors if the car was left outside. 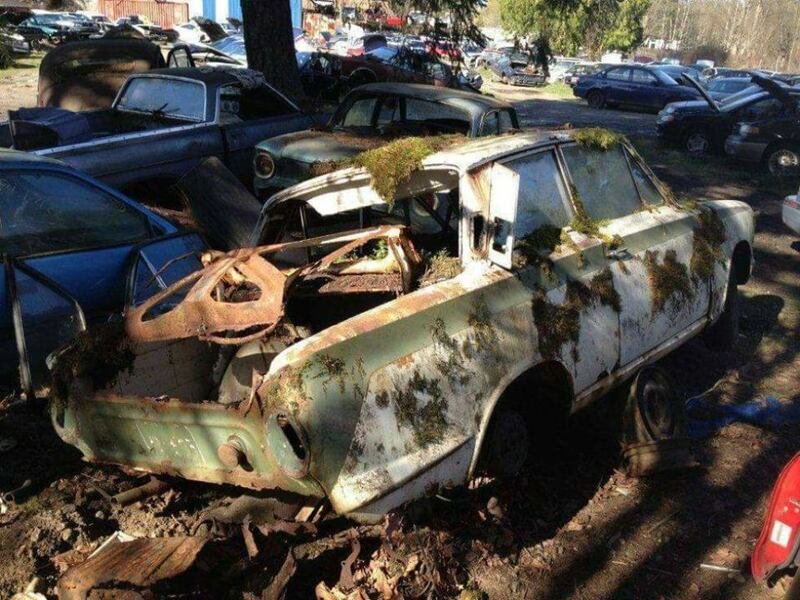 OK, so not all Lotus Cortinas went through the same fate, there really were some that were owned by one person or family for years, or tucked away and preserved when they became too unreliable to use as an everyday car. But they were the minority of cars. So, what do the terms originality, provenance and authenticity mean in the context of a Lotus Cortina? To us, who had the cars in the 60s and 70s, it meant nothing. To many of the guys who currently race or rally their Lotus Cortinas, it still means nothing. But to many other owners, including me now, it does mean quite a lot. Since the cars started to become quite valuable, probably from the mid 1990s onwards, there started to be mumblings in the clubs of ‘Fake’, ‘Clone’, ‘Reshell’, ‘Replica’ when referring to cars that were very obviously not to an original specification. As mentioned at the top of this article, some of the leaders of clubs decided that discussing what was ‘original’ for a given model was not to be encouraged, as it allowed folks more easily to make more ‘fakes’. That obviously didn’t work as there are today many cars that have been created from identities alone, many ‘poor’ copies of Lotus Cortinas (not being claimed as the real deal) and of course, there are many cars that have been re-shelled (some so you can’t tell, some quite poorly) or had a major restoration where less than 10% of the fabric of the original car is retained. So this section is an attempt to bring out into the open what different sort of cars are out there, how they could be categorised, and perhaps the most important part….how to approach buying a car and not be ripped off! These musings are based on a lot of conversations with many owners, long term and not so long term. Some are serious collectors, who only want the very best cars in their collections, and others are more like me, who want a good solid and authentic car. I have also put into this thinking the input from a couple of Classic Car auctioneers, who have had to determine authenticity for given cars via experts from clubs and racing authorities, where several millions of pounds may be involved, so the verdict must be right. Authenticating a pre-war racing Bugatti or a very rare ’60s Ferrari can cost many tens of thousands of pounds to do right, and it is a task that is taken very seriously, especially if the good name of an auction house is at stake. back to a dictionary definition of each term. Originality – the quality or state of being original. When a car leaves the factory it can be described as being in original condition, but as things change, such as the car is re-painted or has a new engine, it looses it’s originality. It can still be Substantially Original if it retains most of it’s significant originality (paint, engine, interior furnishings, etc). If the car is restored using materials, components, sub-assemblies that are to the same specification of the original, then the car is not original, but restored to Original Specification. Provenance – The records or documents authenticating an object or the history of its ownership. This is probably the single most important aspect of a Lotus Cortina that demonstrates how the car standing in front of you is the real McCoy. Where did it come from? What restoration work has it had? What invoices and photographs support the restoration claims? Is the car known in the clubs, and for how long has it been known? Authenticity – the claim of an object’s attributes and origins. Authentication is the testing out of the claim for originality, by the examination of the object itself to determine if it has the correct attributes for it’s type (originality and / or original specification), AND the examination of the provenance to determine how the object came to be in the owner’s hands, where it has been since it was new, and how it came into it’s current condition. Authentication is NOT a checklist of ‘Lotus Cortina Attributes’ against which a specific car is tested. That is merely a check of ‘Original Specification’, which only looks at how well the car has been restored. First of all let’s clear one thing up. The chassis number is the unique identity of the whole CAR, not just the bodyshell. When the car was new, if the engine was defective, it was replaced as a complete unit under warrantee….just another sub-assembly. If the bodyshell was damaged beyond economic repair within the first two years or so, it was replaced, as it is also just another sub-assembly. Indeed there is a paper, issued by Ford, describing how to re-shell a Pre-Aeroflow car into an Aeroflow shell, as it was a common requirement. I will be putting this paper in the library. The statement that the bodyshell is ‘just another sub-assembly’ will have some shouting at the PC, as for them the car is defined by the bodyshell. It’s difficult to fathom out why the same folks will accept that replacing more than 70% of an original shell with reproduction panels, and bits cut from donor cars, is OK and the car still retains it’s ‘original shell’, and yet a good and similar shell, fully manufactured in Dagenham but with perhaps 1% of its fabric changed to be upgraded to Lotus Cortina specification, is somehow not the right thing to do. 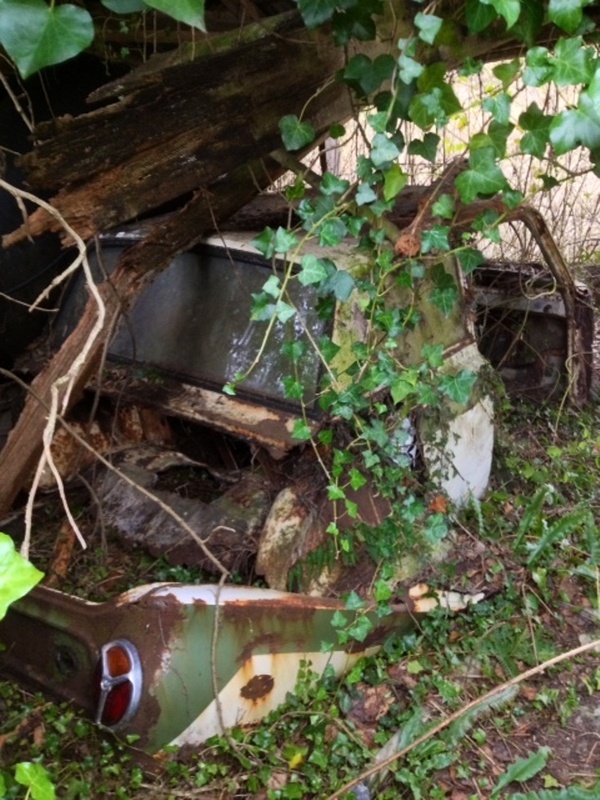 1 For an in-period competition car, where an original car has been found and the shell cannot be restored. This has been the case with many of the Mk 1 Rally cars, which ended their short lives as rally cross banger cars. The original shells, when found, looked like they had been in a large cement mixer, and quite literally, not a square inch of panel was straight, and fatigue cracks and rot covers the whole structure. 2 For a new competition car that is going to be used in serious competition today. You only have to go and watch Lotus Cortinas racing today to see a style that more resembles stock car racing / modern saloon car racing to appreciate what a shame it would be to use an original shell in this sport. 3 For a road car where the restoration of the original shell is completely uneconomic, even impossible. A great example of this is a lovely old A Frame Aeroflow car a friend found a few years ago under a tarpaulin in the owners back garden, where it has been for 30 years. The car had sunk to it’s axles, and the bottom 12 inches of the shell were essentially dust. Even the bottom of the wheel rims were rusted away where they had been in the mud for years. Every panel was rotten, and even the roof had frilly gutters and jagged windscreen surrounds. Two options here…scrap the car, or re-shell. There is an important thing to fully establish. All Lotus Cortina shells, Mk 1 and Mk 2, were made and painted in Dagenham, using substantially the same panels as standard Cortinas. The Mk1 was based on a floor change 2 door 1200 Deluxe shell (hence the chassis number starts with the same code as the 1200!) and the Mk2 was based on the heavy duty 2 door GT shell. No rocket science, and no fairy dust sprinkled on by Lotus. If you look at the parts manuals for the MK 1 and Mk 2 Cortinas, you will see which parts of the shell differ, and some of those differences are very minor. The ‘originality’ section will also define in detail where the differences are between the standard shell and the Lotus shell. When being restored, depending on the start point, the car can be repaired with new panels and new metal let into the existing shell, OR the shell replaced with a similar 2 door shell, possibly enhanced to Lotus Cortina specification. There were quite a few re-shells completed in the 60s and 70s, when the cars were used for fun, and rusty or accident damaged cars were treated to a better shell. Indeed, it was normal practise when the cars were under a couple of years old to re-shell (with a new Ford shell) a car if justified after an accident. Some of the latter re-shelled cars have had their shells ‘upgraded’ to replicate the Lotus version, and if done well, it can be virtually impossible to tell the difference. A friend has a well known leafspring car that he re-shelled more than 20 years ago, using a superb 4 door shell! He ran it as a 4 door for a year, and then converted it to a 2 door shell, using panels from his old Lotus, plus a couple of new ones. It is so well done that none of the ‘experts’ have ever noticed. This is a car that looks like a Lotus Cortina, often white with a green stripe, but it is another version of Cortina retaining it’s original (non-Lotus Cortina) identification. There are some superb Replicas around, complete down to the last detail, and there are some that have been done very poorly, sometimes just a 1200 painted white with a green stripe. And there’s everything in-between! There’s nothing wrong with a Replica, so long as it is being represented as such, as the value is considerably less than that of the authentic car. If the car is created from another Cortina, and given an identity of a long-scrapped Lotus Cortina, then we can have a situation where criminal prosecution can be made, and the buyer end up loosing everything. These cars are known as Fakes or Copies. The saving grace is that with most Fakes, the guys doing the work can’t be bothered to get the detail right, even if they are setting out to deceive. The modified bits and repairs are often migged up where they should be spot welded or bronze welded, strengthening bars in the boot of the Mk 1 are metric size rather than the old imperial, brackets and guides are missing or in the wrong place, and very often, the weld patterns are all wrong. The circumstance where a Fake is acceptable is with modern competition cars, where the racing rules dictate that an ‘original’ car (identification) must be used. Many of the race Lotus Cortina on the track today don’t have a single component on them that came from a Lotus Cortina, and that’s perhaps just as well considering their inevitable fate! This is a car that has been stolen to order, and given the identity of a long scrapped car. Obviously this is a criminal activity, with the buyer usually loosing everything. Just by looking at the car you can’t tell a Clone apart of course because it is a real Lotus Cortina…just with the identification of a long-gone genuine Lotus Cortina. The provenance of the car will tell you something is very wrong though….it won’t have any, and underlines that the provenance is absolutely everything in proving the Authenticity of a Lotus Cortina.